Clear Aquarium :: Products :: Let us take care of your tank! Replacement Impeller Shaft - for the Coralife Super Skimmer 125 and 220. This replacement shaft is hand crafted by Clear Aquarium out of stainless steal to the exact specs of the original shaft. 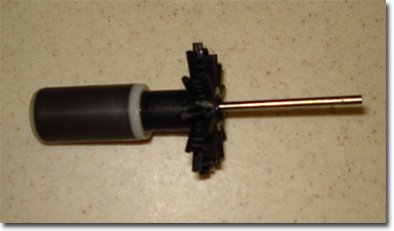 This shaft replaces the brittle ceramic shaft the protein skimmer comes with. Contact us to order directly from Clear Aquarium. The shaft will be shipped in a rigid cylinder to assure your shaft arrives in perfect straight condition. Bulk shipping will be arranged for ordering more than one. Clear Aquarium guarantees these shafts, money back or a new replacement. This is only for the replacement shaft and not an impeller. Local pickup also available. 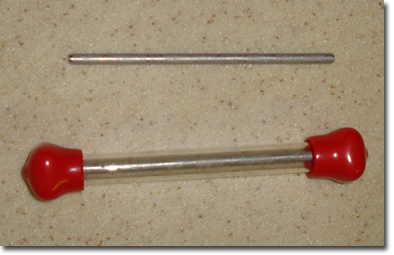 $25.00 per shaft shipped inside the U.S.
And we have the best price in town for Clear Aquarium customers!